Technique: sterling silver flat shiny finish. 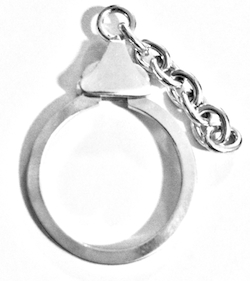 Usage: ring for keychains / keyrings. The top section is removed by simple pressure inwardly on the borders.